Seamless Gutter Specialist serving Warren County, Washington County, and Saratoga County - Queensbury, Glens Falls, Lake George, Warrensburg, Saratoga Springs, Ballston Spa, Clifton Park and Surrounding Areas. Why do I need Quality Seamless Gutters? 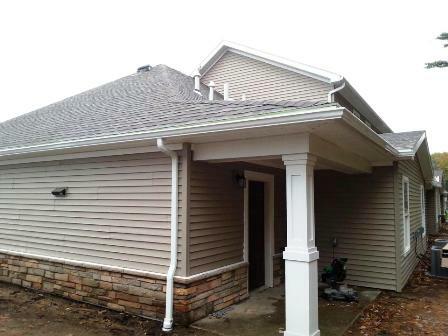 Rain gutters are an important part of the roofing system. Redirecting the water off the roof reduces the erosion of soil at the base of the building, which can lead to wet basement walls, mold and weaken the foundation over time. 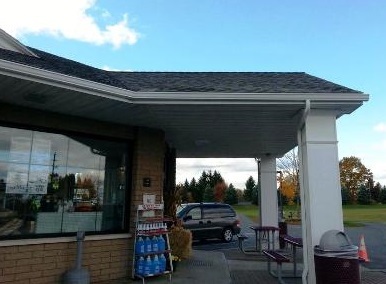 A faulty gutter system can also contribute to damage to Soffit, Fascia, Shingles, Landscaping, Sidewalks and Driveway. Winter ice buildup can damage your roof and create a safety hazard on sidewalks and driveways. 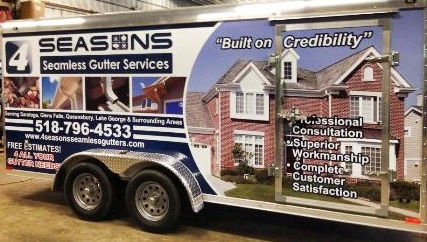 4 Seasons Seamless Gutters is dedicated to providing professional consultation, superior workmanship, and complete customer satisfaction regardless of the size of the project. Our qualified professionals will take the time to suggest, install, clean, and maintain your seamless gutters to fit your needs and budget. A smart investment in quality gutters today could save you thousands of dollars in repairs in the future.